coast | Live Healthy S.C. Some people believe the planets have to “align” in order to have good fortune. But the actual alignment of the sun, Earth and moon can result in dangerously high tides, too. 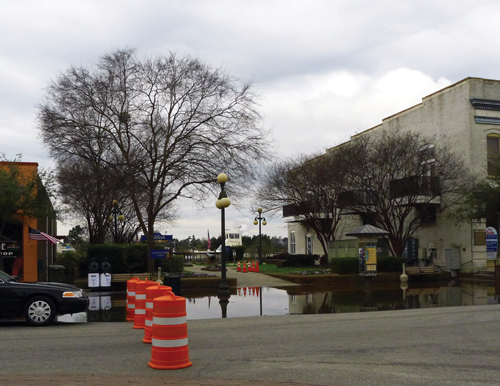 In South Carolina, the impact of extreme high tides, also known as “King Tides,” is often evident in the Lowcountry around Charleston, Beaufort and Hilton Head. 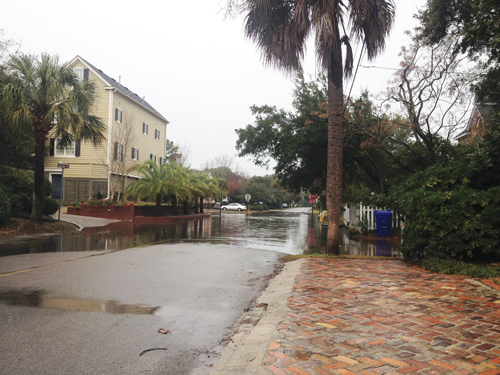 For example, in Charleston, the typical high tide is about 5.5 feet; during a King Tide event the high tide might reach 7 feet or greater. That’s why our Division of Ocean and Coastal Resource Management has become involved in monitoring these higher-than-normal high tides to document their effects on our coast. King Tides is a term that describes the highest seasonal tides that occur each year. These tides occur naturally and are typically caused when the moon is closest to us during its 28-day cycle and aligns with the sun and the Earth. In some cases, King Tides might not be noticed. In other cases, they can cause coastal erosion, flooding of low-lying areas and disruption to normal daily routines. King Tides can also expose critical infrastructure to corrosive saltwater. Over time, the frequency, duration and effect of King Tide events might increase due to a gradual rise in the sea level. Help us Track the Tides! In 2014, we launched our King Tides Initiative to encourage people to snap and submit their photographs as these seasonal high tides exceed their normal levels and produce flooding along low-lying areas. To get involved in this initiative, you can upload your photos and submit a King Tides report to the MyCoast website, or by downloading the MyCoast App (now available in the App Store and Google Play). Your photos and reports will help us with our long-term analysis of coastal vulnerability and in planning initiatives with coastal communities. The next King tides event is scheduled for this coming Friday through Monday (April 17-20​). So keep your smartphone handy and take a moment to snap and submit a photo to help us better understand the potential threats King Tides pose to our state’s beautiful coastal areas. This entry was posted in Ocean and Coastal Resource Management and tagged coast, high tides, King Tides, MyCoast, seasonal tides, Syzygy on April 14, 2015 by SC DHEC.